Ethan Rose Ethan Rose | I am a tinkerer and apprentice electrician living in Auckland, New Zealand. I spend my spare time thinking about UX, electronics, networks and radios. I am a tinkerer and apprentice electrician living in Auckland, New Zealand. I spend my spare time thinking about UX, electronics, networks and radios. 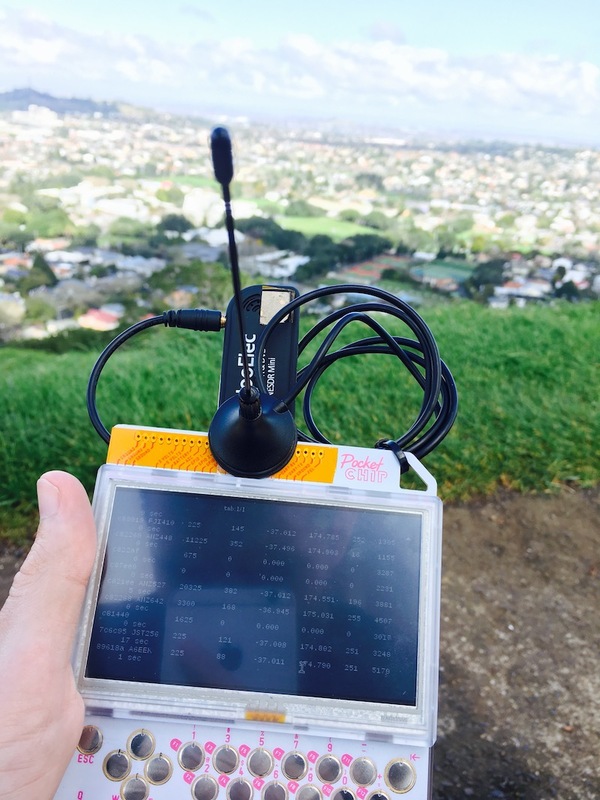 PocketCHIP is perfect for taking out in the field with it’s integrated keyboard, touchscreen and battery, so what better use for it than to decode ADS-B beacons from aircraft as they pass over your head? Test. If you don’t see anything check your antenna connection and then Flightradar24 and make sure there are planes around. Once you’re happy you’ve got it working right, get out and ideally up high with as few obstructions to the horizon as possible and do some plane spotting!